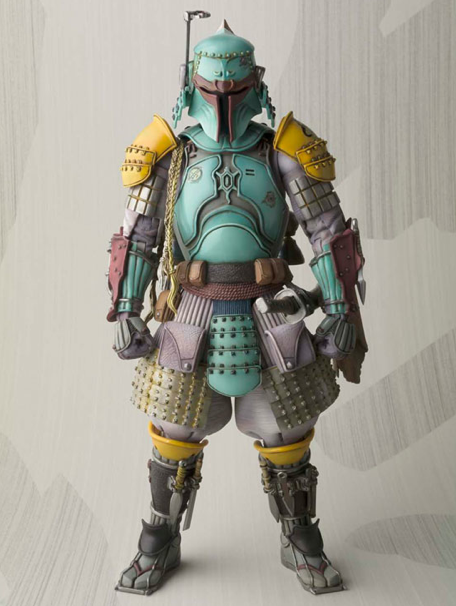 Everyone's favorite bounty hunter goes medieval! 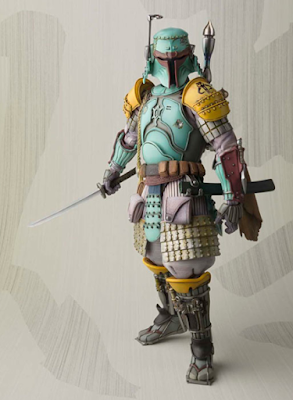 Boba Fett joins the Meisho Movie Realization series in a spectacular feudal Japan aesthetic, appropriately portrayed as a lordless "Ronin" Samurai via the sculpting talent of artists Takeyuki Takeya and Junichi Taniguchi. 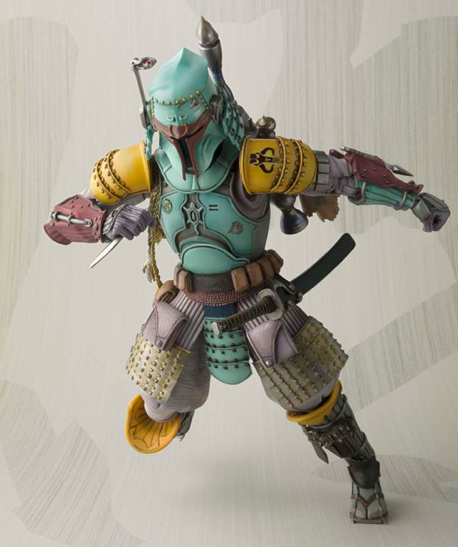 In addition to his EE-3 rifle portrayed as a flint-lock style blaster, this deluxe figure set features an extensive array of accessories - including characteristic backpack missile that can be removed / attached, plus the helmet-mounted scope is moveable! 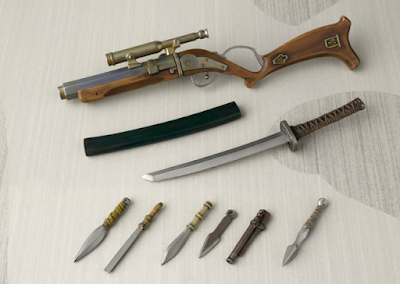 In addition to short ninja-style katana and sheath, numerous ninja-style blade accessories that can be subtly attached to shin and forearm areas are also included! 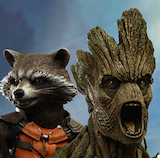 Action figure measures approximately 6 3/4-inches tall. We are huge fans of the Bandai Tamashii Nations Movie Realization Star Wars Samurai figures. 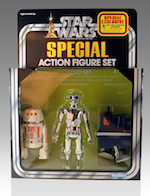 We already have Darth Vader and the Stormtrooper in the collection and look forward to continuing this series. If you want a very unique, highly detailed Star Wars figure, we highly recommend this line. 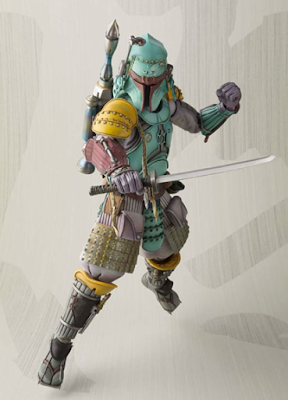 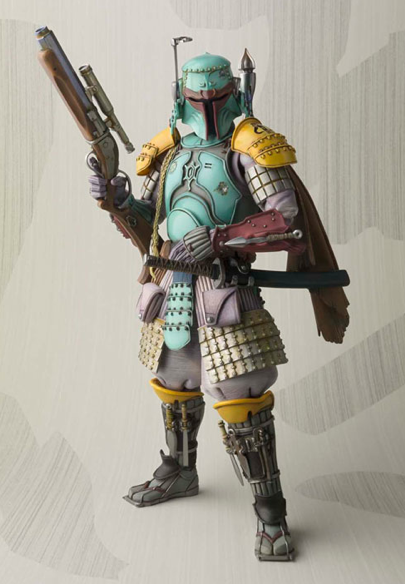 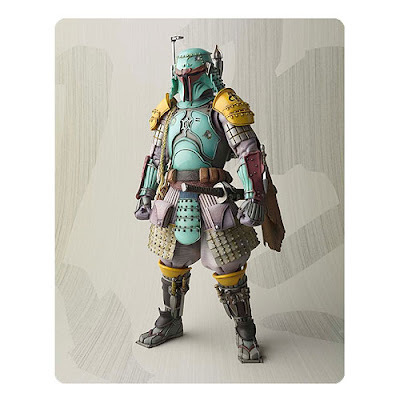 The Bandai Tamashii Nations Movie Realization Samurai Boba Fett Meisho is now available for Pre-order.